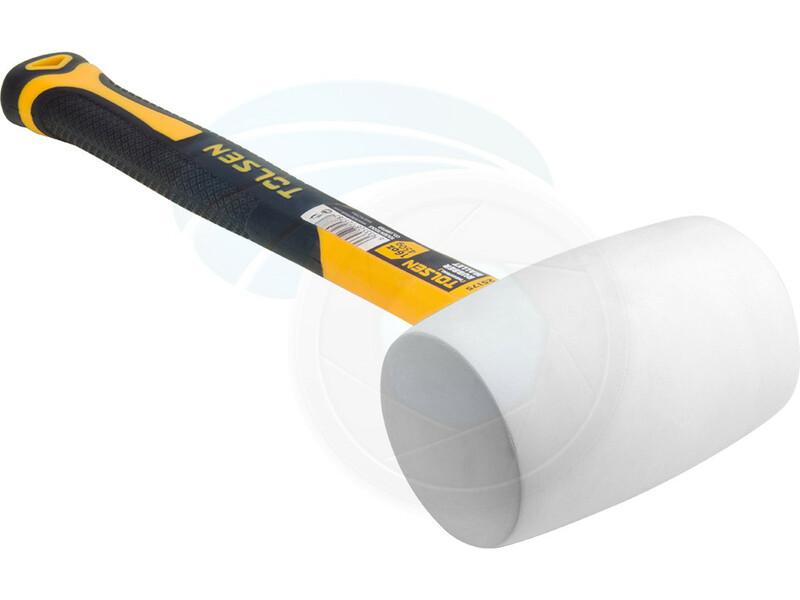 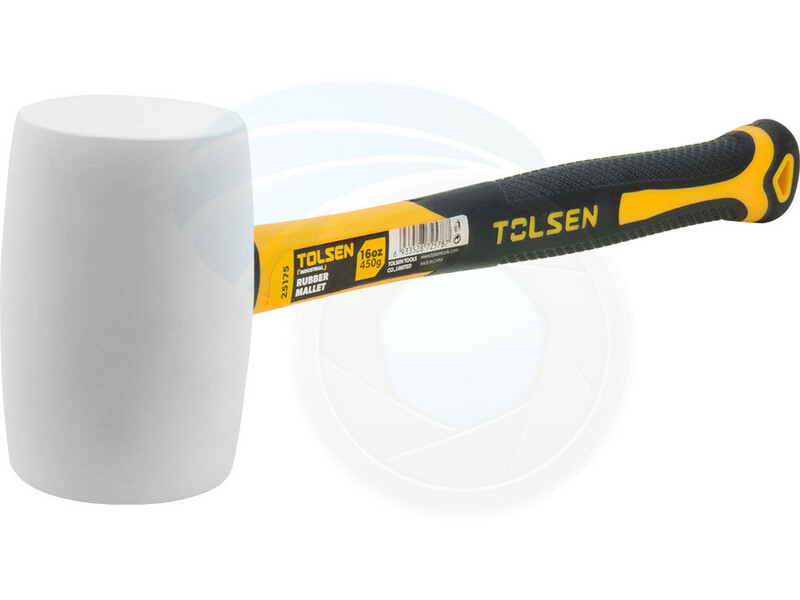 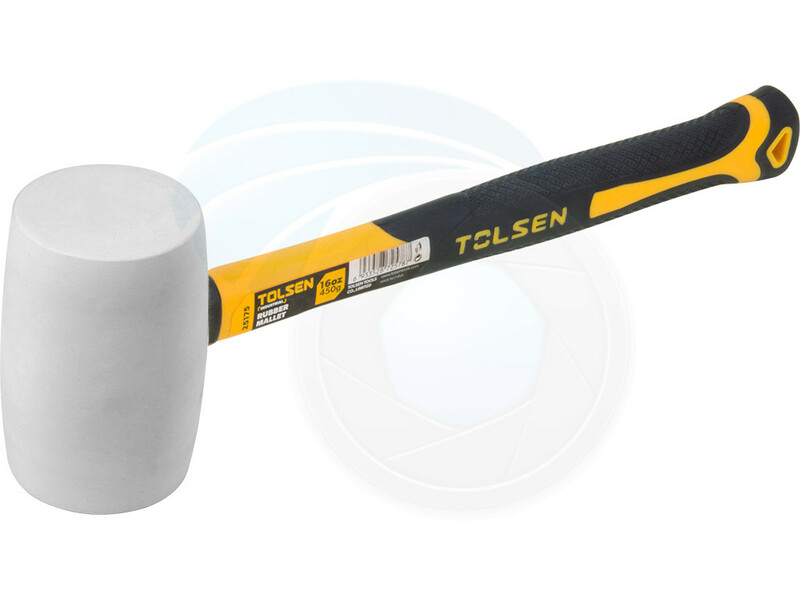 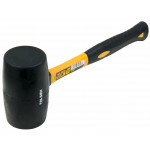 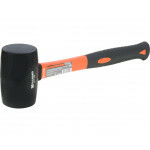 Medium size 16oz (0.45kg) white color head all-purpose rubber mallet ideal for applications where a metal head is unsuitable. 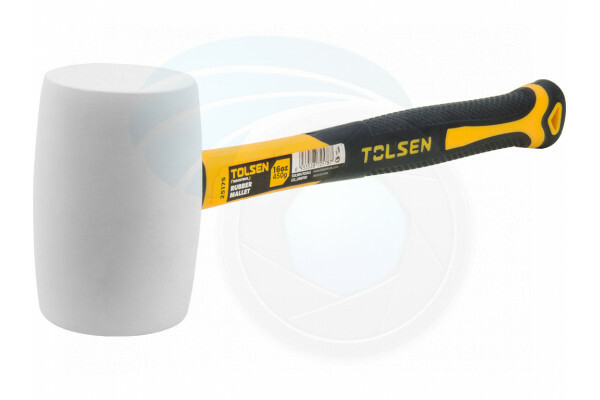 Bicolor fiberglass and TPR grip handle for comfort and easy use. 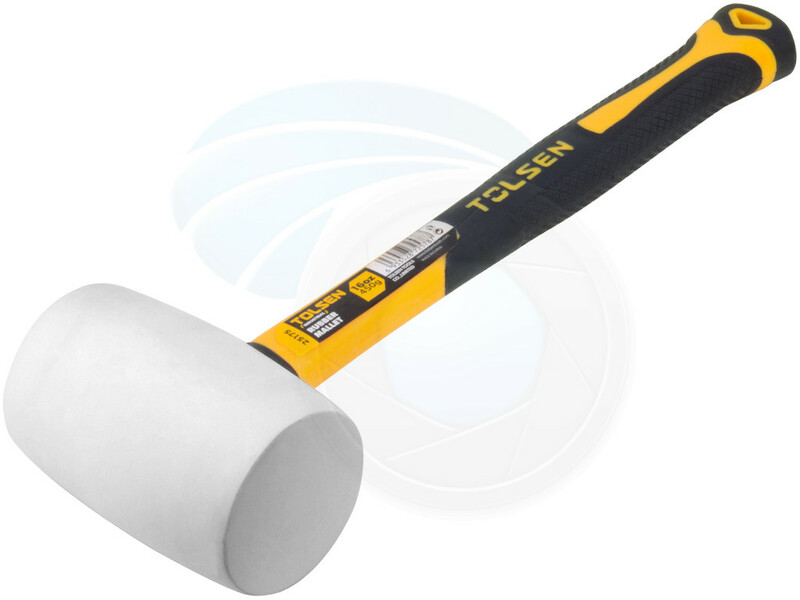 White head heavy-duty 16oz rubber mallet is ideal for furniture, flooring and other type of projects, the head will not mark surfaces.